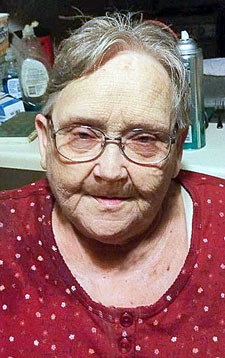 Shiela D. Parks, age 71, of Upper Sandusky, passed away at 2 p.m. Friday, April 12, 2019, at Fairhaven Community in Upper Sandusky. Funeral services for Shiela Park will be held at 1 p.m. Tuesday at the Lucas-Batton Funeral Home in Upper Sandusky, with the Rev. Jake Reel officiating. Burial will follow at Wharton, Richland, Union Cemetery. Visitations will be held Tuesday, from 11 a.m. to 1 p.m. at the Lucas-Batton Funeral Home in Upper Sandusky. Memorial contributions may be made to Hospice of Wyandot County or the Wyandot County Council of Aging and can be sent to Lucas-Batton, 476 S. Sandusky Ave. Upper Sandusky, Ohio 43351.